Enjoy one-to-one attention with this private salsa class, suitable for all abilities. Salsa represents a mixture of Latin musical genres, with its primary component being Cuban Son and Afro-Cuban dance. It's a great way to regain and maintain fitness along with improving body flexibility and strength. 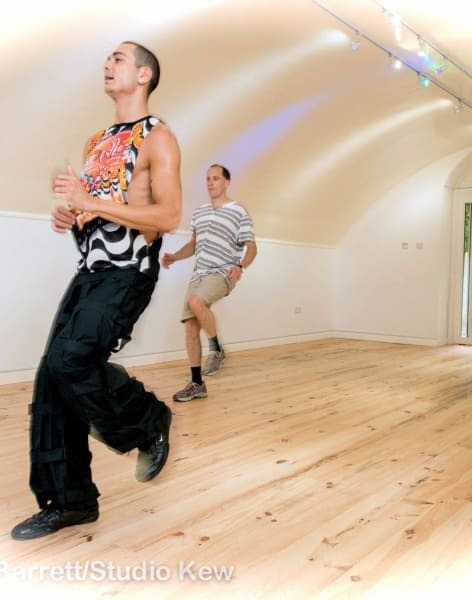 Enjoy individual attention with a one-to-one salsa class at Studio Kew. 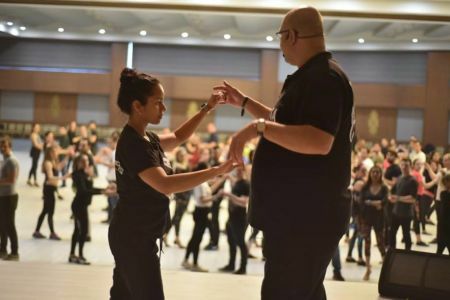 Led by experienced and highly trained couple Niko and Stefanio, a private lesson will give both individuals and couples the opportunity to learn the basics of this spicy Latin style or enhance existing skills at a fast pace. Nik and Stefania can help you work on your styling, following, leading and timing along with enhancing confidence and improving performance and musicality. One-to-one lessons are tailored for the needs of the individual or couple and are suitable for all abilities. Studio Kew is based in London and offer many creative classes and sessions. Teaching Latin Dance, Studio Kew offer classes including: Capoeira, Dance Fit, salsa, Samba Rhythms, Strictly Dance Fit, tango and Zumba. They also offer Latin percussion and Samba music classes, which is great for self-expression, physical and mental health. As well as their Latin influenced classes, Studio Kew also offer PoleFit, Adult ballet and professional studio photo sessions to create images to treasure. The studio can be hired for events, parties and conferences and includes mirrors, a sound system, kitchen, bathroom and local parking.